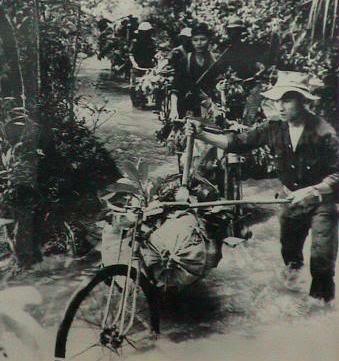 Project Popeye Weather Modification and Creating Rain in Vietnam: This Operation is not the delusional ramblings of conspiracy theorists – it really happened and is well-documented. 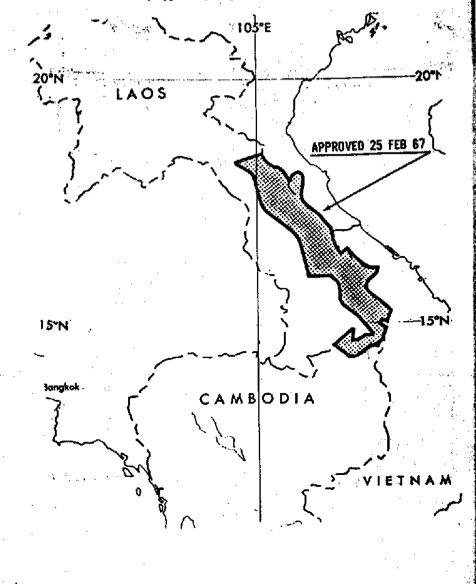 The ultimate goal of the program was to interdict the flow of supplies and the movement of enemy troops along the Ho Chi Minh Trail to prevent them from entering South Vietnam. Eventually, the program moved beyond the initial test phase of Project Popeye and into its operational phase when it became Operation Popeye. 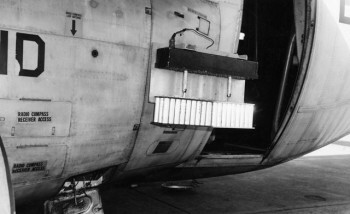 Project Popeye testing was carried out by personnel from the Naval Ordinance Test Station under the direction of Dr. Pierre St. Amand and after having initial great success thereby determining the project’s viability, it was turned over to the USAF 54th Weather Reconnaissance Squadron operating out of Udorn AFB in Thailand. 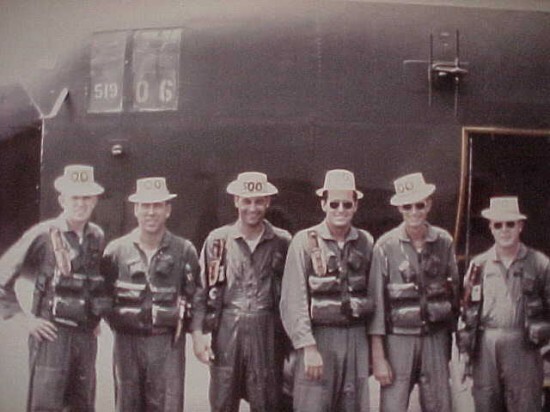 L-to-R : Capt Larry Hayes, Weather Officer; MSgt Jim Bird, Dropsonde Operator; TSgt John Travis, Flight Engineer; Capt Pete FitzGerald, Co-Pilot; Capt Byron Smith, Pilot; and Capt Daryl Wood, Navigator. (ABOVE) Fig. 3 – The 500th Motorpool mission crew members seen in this photo, L-to-R are: Capt Larry Hayes, Weather Officer; MSgt Jim Bird, Dropsonde Operator; TSgt John Travis, Flight Engineer; Capt Pete FitzGerald, Co-Pilot; Capt Byron Smith, Pilot; and Capt Daryl Wood, Navigator. Specifically, the planned objectives of the program were to deny the enemy use of roadways through increasing the rainfall in selected target areas. Fig. 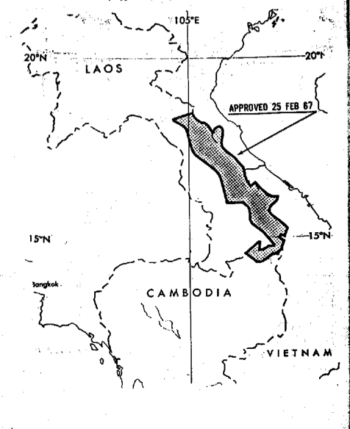 4 – Map showing initial authorized are of operations for cloud seeding. Fig. 5 – Map showing final authorized expanded area of operations for cloud seeding. Operation Popeye continued in secret until reporter Jack Anderson outed the operation in the Washington Post on March 18, 1972. As an aside, it is worth mentioning that Mike Gravel is the former Senator from Alaska who publicly placed Daniel Ellsberg’s Pentagon Papers into the Congressional Record in 1971 and who recently voiced his support for Edward Snowden’s release of NSA documents. It seems that history really does repeat itself with similar scenarios being played out time after time, only to an increasingly subdued and more easily media manipulated American electorate. In Pt. 1 of this series on weather modification and the connection to the China Lake Naval Air Weapons Station, two individuals were mentioned who played prominent roles in Project Popeye. They were Cmdr. Ben Livingston and Dr. Pierre Saint-Amand. Both men possess excellent credentials, with Cmdr. Livingston being trained as a Navy meteorologist with a degree in cloud physics; a graduate of the Naval Post Graduate School at Monterrey; and an individual who has logged over 15,000 hours of hurricane reconnaissance and flown over 265 missions into hurricanes, and was an integral member of Project Stormfury and Project Popeye. In the Alex Jones video, “The Father of Weaponized Weather”, Cmdr. Livingston clearly states that the silver iodide generators and cloud seeding techniques used in Southeast Asia were developed at China Lake where he was involved with their testing. 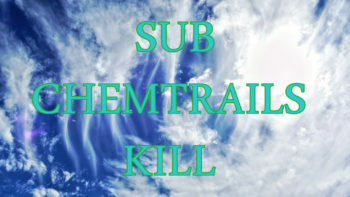 He further states that he went on to command the Naval Weapons Research Laboratory in Corona Ca., where he was responsible for writing a weather modification plan for the entire world. In addition, Ben Livingston went on to form his own cloud seeding company and has spent his life engaged in the business of weather modification, much of that in developing instrumentation to document the process of experimentation involved with weather modification. Although Cmdr. Livingston was given credit by Alex Jones in his documentary video as being “the Father of Weaponized Weather”, the unmentioned Saint-Amand is equally as qualified to share that title. Not to downplay Cmdr. Livingston’s credentials and significant role in Project Popeye as the first man to actually carry out a wartime mission using cloud seeding techniques as a weapon of war but Dr. Pierre Saint-Amand, a long time research scientist who spent the majority of his career at China Lake was the principal guiding hand behind the development of weather modification techniques as a means of waging war. Not only was Pierre Saint-Amand a research scientist but he was also a very gifted individual with a wide range of multi-disciplinary talents including having political savvy and connections. According to his obituary which ran in the Ridgecrest News Review on April 27, 2011: When Pierre Saint-Amand, Ph.D., long-time resident of China Lake and Ridgecrest, died on April 15, our valley lost one of its prototypical Magnificent Mavericks — a China Lake scientist who was skilled in an amazing spectrum of technical areas and a community leader who generously shared his expertise in the natural sciences. Former China Lakers remember him as one of the smartest of the many intellects populating the base, someone who could lecture the rest of them on earth orbits after Sputnik passed overhead in 1957, someone who pursued weather modification at a time when most people thought it would never work. Clearly, Dr. Saint-Amand was an incredibly knowledgeable and competent research scientist in the area of weather modification but his expertise extended to other areas of interest as well, most notably geology and electrical engineering. Well connected and with a supporting crew of other scientists, engineers, and technicians from China Lake and other research institutes, Dr. Pierre Saint-Amand was in the perfect location and situation to bring his vision of using the weather as weapon of war to realization. 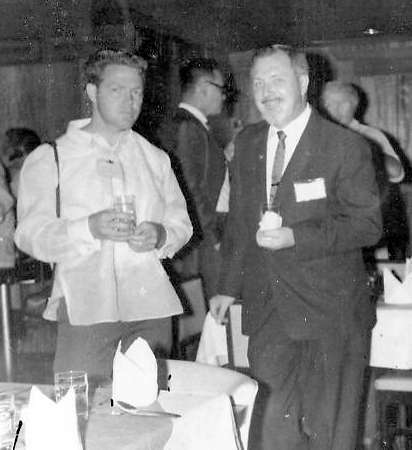 One of his contemporaries and colleagues from the Project Popeye period was Dr. Edwin X. Berry of the University of Reno’s Desert Research Institute (DRI). On his website, Berry offers some details of his involvement with Dr. Saint-Amand and Project Popeye. 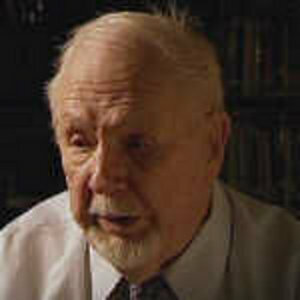 Even though there was some public outcry and furor over the disclosure of Operation Popeye, Dr. Saint-Amand was prepared to defend his ideas and visions of weather modification being used as weapon of war to Congress. Edwin X. Berry’s website article further states that the Pentagon was not in favor of giving up weather modification as one of the tools in their arsenal of weapons. While elected officials in Congress were pressing an international agreement on hostile environmental modification, the armed forces resisted renouncing this kind of weapon. “Primarily the work is aimed at giving the US Navy and the other armed forces, if they should care to use it, the capability of modifying the environment, to their own advantage, or to the disadvantage of an enemy. We regard the weather as a weapon. Anything one can use his way is a weapon and the weather is as good a one as any.” (Quoted in: US Senate, Subcommittee on Oceans and International Environment; 26 July 1972; p. 22, emphasis added). Drowning it seems would be preferable to sudden swift explosive decompression and dismemberment as a choice of death. 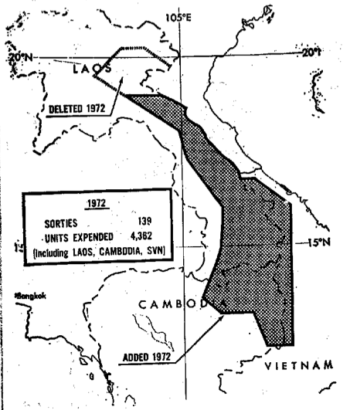 Quite an interesting perspective on the choices of warfare and killing your enemies from a man described as a “community leader” in his obituary, which further claimed that Dr. Saint-Amand “believed that a professional had a responsibility to support his community” and whose favorite motto was “If someone loves me, I love them back.” Obviously that sentiment didn’t extend to the Vietnamese and other Southeast Asian peoples whose lands he helped to flood in an effort to support an unpopular and immoral war being waged by a feckless American military command with the support of a clueless Congress who was kept in the dark about weather modification operations for five years. Especially since allegations were made that cloud seeding had not only made jungle paths impassable, it had also killed thousands of innocent people. Ironically, that sentiment seems to typify the Ridgecrest/China Lake community, where every year several hundred protesting residents, many of them base employees, will line the streets with graphic anti-abortion signs never stopping to think that the primary export of the community are weapons of mass destruction responsible for killing many thousands of adults and children worldwide yearly. The incessant human carnage and collateral damage in Iraq, Afghanistan, Syria, & Gaza, is caused in large measure by American made aircraft, missiles, bombs and other exotic weapons of mass destruction raining down upon innocent civilians daily. 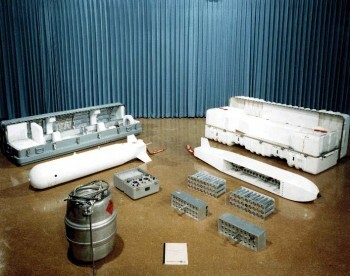 Many of those weapons having been developed and tested at China Lake. Talk about moral inadequacies – letting your paycheck override your basic humanity is a major inadequacy! And with so many of the heavily over-mortgaged Americans who are drawing a decent paycheck today lapping at the feeding trough of the military-industrial complex, small wonder that any have the courage to speak out about the aerosol spraying programs occurring in the skies over our heads. 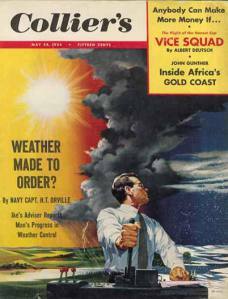 In the background and descriptive section of the 1975 patent, it says “weather modification has been practiced in many parts of the world with many different methods and means to modify the physical and dynamic properties of the atmosphere.” Quite simply, the method here was to seed supercooled clouds with silver iodide thereby creating ice nuclei which in turn cause the creation of ice crystals either by absorbing the water vapor from the atmosphere or freezing ice droplets. 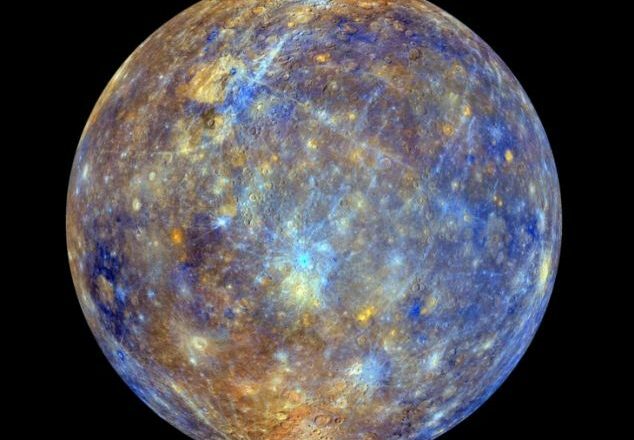 And the means was furnished in the form of pyrotechnic flares or rockets releasing a composition of a fuel and oxidizer that was then mixed with another composition of a metal iodide and an alkali iodide to be cast and formed into what ever delivery mechanism was chosen, rocket or flare. The elements of the metal iodide were from the copper, lead, silver, & bismuth family and the elements of the alkali iodide were from the group lithium, sodium, potassium, rubidium, cesium, and ammonium. They were mixed and cast at facilities at the China Lake Propulsion Laboratory, located at Salt Wells and tested over the large range areas of the base, including the Air Force Cuddeback range (then part of the now defunct George AFB and now part of the Superior Valley complex of China Lake’s South Range) south of Red Mountain off Highway 395. As a frequent commuter on that road, it was quite common to see flare tests conducted at Cuddeback and the north ranges of China Lake as well. 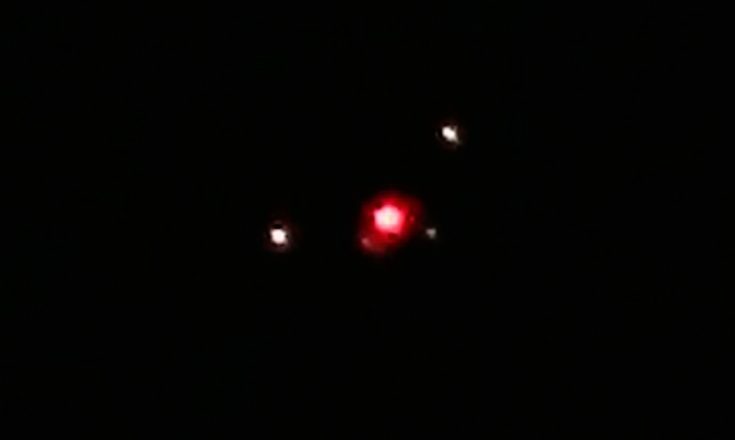 At that time I wrongly assumed that these were illumination flares and should have perceived something else was afoot when daylight testing was occurring. This particular invention, A Method of Controlling Weather, was just another upgraded version in a long line of delivery methods beginning with using dry ice to cloud seed back in 1946 with alkali iodide being introduced in 1947, it is staggering to imagine how far the science of weather modification has advanced in the nearly forty years since 1975. Looking back through history, there are many instances of weather modification research by the military. “In 1872 the US Congress authorised the Secretaries of War and the Navy to test the relationship between artillery fire and rain propagation proposed by Edward Powers in his War and the weather (1871). 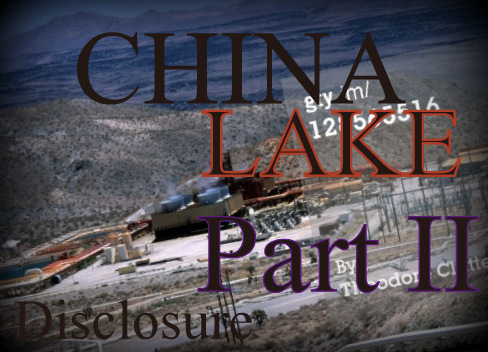 Based upon the foregoing evidence and historical background, it should be patently clear that the China Lake Naval Air Weapons Station has a demonstrated connection to military weather modification efforts and that these are programs the government has been working on for decades. I recently spoke with a friend who is employed there archiving documents and she assured me that there is no longer any work being done on weather modification at China Lake. For my part, I simply smiled and asked, “how do you account for all of the daily spraying activity? And according to another source, the old Bldg. 31598, Pierre’s Palace or the Earth and Planetary Sciences Department is now occupied by another tenant who I am informed is responsible for providing security for all the black programs at the China Lake Weapons Division as well as related commands at Pt. Mugu and White Sands – black ops – it seems fitting. Since I am no longer an employee and don’t have access, I can’t physically verify that statement but will take the word of my source. Regardless, as a long time resident of this community what occurs in the skies overhead is plainly visible and cannot be hidden. Furthermore, since this is the R-2508 controlled airspace and the responsible parties for control and operation of said airspace are China Lake NAWS, Edwards AFBFTC, and Ft. Irwin, there is no doubt in my mind who is responsible for the ongoing daily spraying operations. 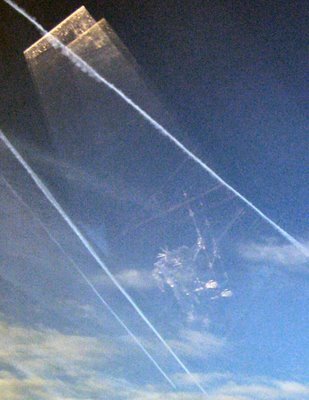 While they may not be cloud seeding anymore, they are still definitely modifying atmospheric conditions so as to implement whatever secret programs they may be conducting or testing, whether they are electronic warfare counter-measures, spoofer-sprays or Tesla type technologies. In essence, if you are modifying atmospheric conditions, you are modifying the weather. The following photo displays a B-2 Stealth Bomber leaving a chemtrail – there is only one organization in the world who flies this aircraft – that narrows down who it belongs too and since I took this photo from my front yard, it is definitely flying in the R-2508 controlled airspace. 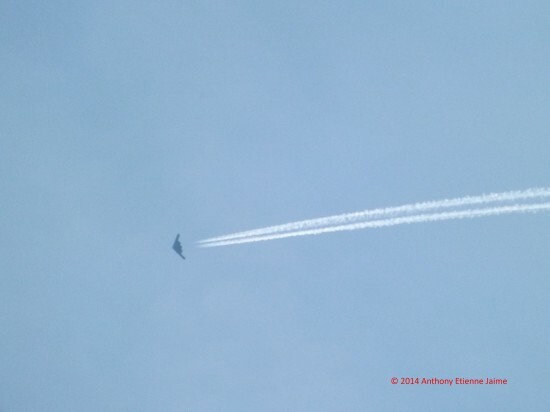 Since it made several passes, and I have additional photos, it begs the question why a stealth aircraft would be leaving a visible trail unless it was deliberate. 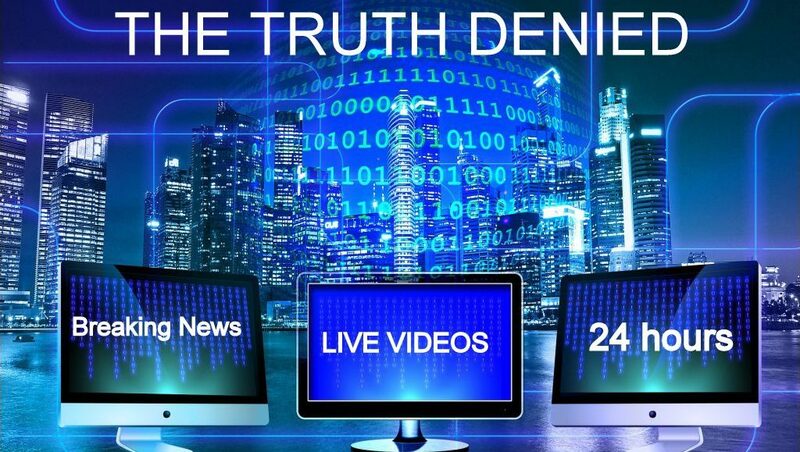 However, with a corporate controlled media that refuses to ask the tough questions or engage in real investigative journalism, choosing instead to knuckle under to the pressures of government and corporate influence, this is a story that is being suppressed and denied by power structures worldwide. The awful truth is that the foxes are in the hen house and the inmates are running the asylum. The aerosol spraying programs being conducted under the military-industrial complex agenda of “full spectrum dominance” is the single greatest threat to humanity’s existence outside of nuclear holocaust today. According to geo-engineering activist Dane Wigington, over 150 patents for weather modification exist and a great many of them are in use today. The chain of evidence demonstrating that weather modification is a real and palpable danger to the world today is undeniable. “Those who fail to learn from history are doomed to repeat it”. Remember my codicil in Pt. 1 about being able to switch from the specific to the general and back from the general to the specific? It’s now time to make that transition as I shift from the specific of history of weather modification at China Lake to a more general look at where military weather and atmospheric modification programs are at today. Before moving ahead, let’s review a few salient points. 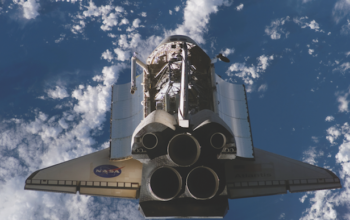 · First, from the foregoing historical records and patents discussed, there can be absolutely no doubt that the United State’s government through its various military branches has engaged in weather modification research and carried out secret military weather modification operations. And it has done so for a long damned time. 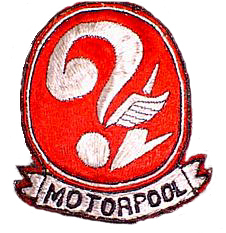 · Second, from the foregoing evidence, there can also be no doubt that such research and operations have been highly classified and top secret with the objective of not only denying the information to enemy forces but also to friendly governments, the international scientific community, and the American public. · Third, leadership of the United States military forces have previously lied to the Congress of the United States about such programs and/or conspired to keep them secret from the public. 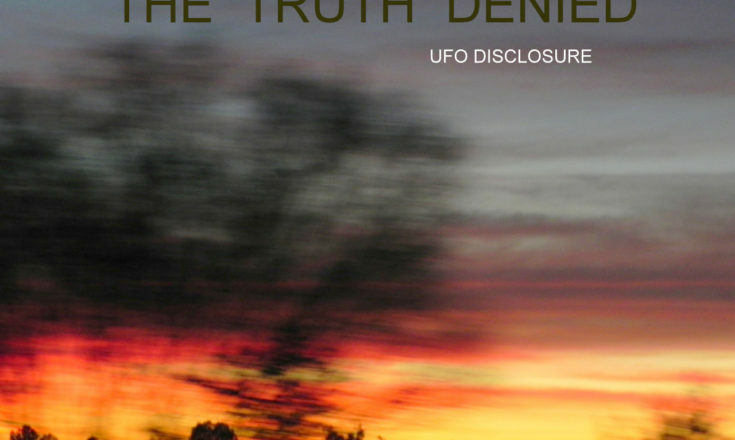 Given the US government’s poor track record with regard to transparency and accountability, the American people have NO REASON to expect any truthfulness about what is occurring over head in the skies worldwide. Hell, we can’t even get the straight story on Lois Lerner’s IRS emails or what actually happened at Benghazi and the majority of the American public are still unaware that a third building, WTC 7, a 47-story steel structure collapsed on 9/1/1 at freefall speed into its own footprint in the classic manner of a controlled demolition without being hit by an aircraft. Why in the hell do any of us think that they will be honest about covert weather modification programs even when the evidence is plastered all over the skies? · Fourth, how long are we going to allow this behavior and lack of accountability to continue? With so many of the American people locked into the mindset of “our government wouldn’t do that”, we are acting much in the same manner of classic denial as an abused spouse that wants to assume the blame for the beatings and abuse as being their own fault rather than standing up and identifying the real perpetrator. Apathy, denial, and cognitive dissonance are the major contributors underlying the lack of concern and attention to the military-industrial complex agenda whose corporate sponsors are only concerned with how much profit can be squeezed out of the cash cow otherwise known as the American taxpayer and the level of control they can exert over our lives. Understanding the nature of the beast and just exactly what we are up against is at least half the battle. Knowing what we are looking at, what we are dealing with, why it exists, and where it exists is crucial. No war was ever won without first acquiring tactical information about the opposing force. That being said, it is time to begin to assemble the knowledge that we do have, and there is a lot, into our own weapons. Weapons of words, ideas, and moral convictions, plus the knowledge that all of our futures, as well as those of our children are on the line. And those my friends are powerful weapons to be reckoned with indeed! Today, quantum leaps in atmospheric weather modification techniques are typified by the use of stratospheric aerosol spraying programs spewing toxic heavy metal nano-particulates (chemtrails), HAARP, NEXRAD (next generation radar) installations, GWEN (ground wave emergency network) facilities, ELF, and more. Further complicating and confusing matters even more is that many of these programs overlap and serve more than one agenda. While many of the techniques and means of delivery got their start from the early research programs at China Lake, what is occurring today is as far removed from those early efforts as the old wall mounted crank-handle phones are from today’s smart phones. Making matters worse, the true extent of the national security state is so pervasive that it extends into virtually every corner of our lives. And it is not just about control of the weather but rather it is about complete control of the planet’s atmosphere, and therefore complete control of the world. 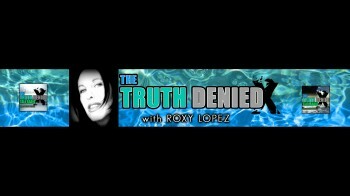 In her book, Chemtrails, HAARP and the Full Spectrum Dominance of Planet Earth, author/researcher Elana Freeland tells us that the underlying reason is because most of today’s high tech weaponry and associated systems require an “ionized atmosphere” made possible by what she labels as a “dump and pump” aerosol operation. Nano-particulate chemtrails are dumped into the atmosphere through aerosol spraying and then pumped up into an ionized state by lasers, NEXRAD or HAARP. And just as the existence of military weather modification programs and operations are a matter of public record for those who take the time to look, so too are the facilities used by the military to carry out their agenda of full spectrum dominance. 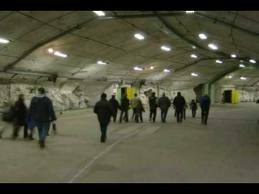 The most well known is the HAARP facility (High Altitude Auroral Research Project) located at Gakona, Alaska. While many unanswered questions surround the alleged research facility, it is known to be an ionospheric heater capable of beaming 3.6 gigawatts of radio frequency energy into the upper reaches of the atmosphere. Jointly funded by the US Air Force, US Navy, DARPA, and the University of Alaska, and built by BAE Systems Technologies (British Aerospace & Electronic), the Gakona array has widely been speculated on as being used for many black operation projects including weather modification, mind control, and triggering earthquakes. The official story is that it is simply a research facility but the identity of players involved says otherwise. With the exception of the University of Alaska, all of the other listed major players are prominent members of the military-industrial complex and therefore suspect. If the Air Force, Navy, DARPA and BAE are all involved, it is simply guilt by a matter of association. These are not philanthropic organizations in the business of promoting humanitarian welfare and social reform. These are organizations that are in the business of building weapons and exporting and using those weapons of warfare around the globe, and business is booming. What a revelatory statement that is. It places weather modification on the same level as the Manhattan Project and the development of the atomic bomb. One of the most significant developments of the 20th Century, the proliferation of nuclear energy has been a virtual Pandora’s Box of both good possibilities and bad consequences. The enormous destructive power realized by the splitting of the atom has not made the world a safer place and with the breakup of the Soviet Union, the likelihood of a terrorist sponsored nuclear event has in fact increased as fissile material finds its way into dangerous hands. That, notwithstanding the fact that the nuclear waste generated as a by-product of nuclear power and dismantled weapons presents a constant source of radioactive infection for the planet and problematic issues for those tasked with storing it. And since the first Trinity test, thousands of other detonations have taken place creating other sources of radioactive contamination through fallout or underground testing. 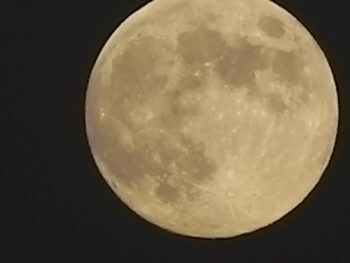 In addition, the disasters at Three Mile Island, Chernobyl, and recently Fukashima are all evidence of the catastrophes that have already occured. Given the fact that through HAARP and other associated technologies, the military industrial complex is toying with the planet’s electro-magnetic fields and the auroral electrojet, the possibility of more large scale disasters occurring increases. If for any reason they cause the Earth’s shields against solar radiation to fail, we are cooked – literally! 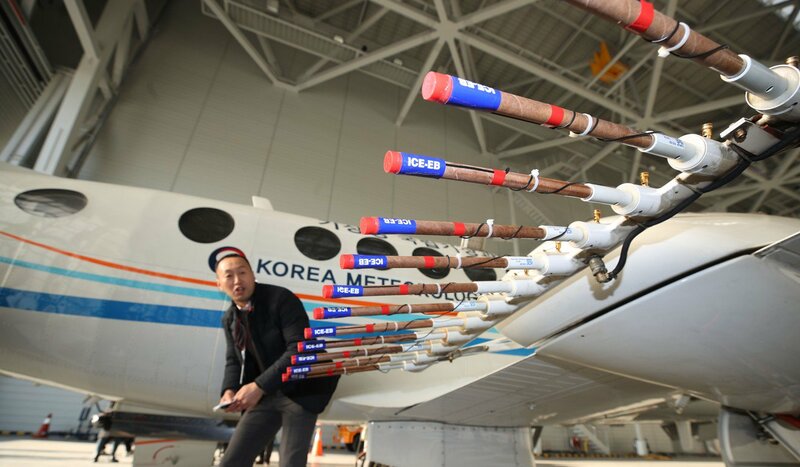 Frankly, the capabilities that might be developed as a result of weather modification could prove to be as large if not larger source of peril than nuclear holocaust. And I’m not alone in my assessment of the situation. The same story and scenarios can be heard from Dane Wigington of Geoengineering Watch; Elana Freeland, author of Chemtrails, HAARP and the Full Spectrum Dominance of Planet Earth; Dr. Nick Begich & Jeanne Manning, authors of Angels Don’t Play This HAARP; William Thomas, author of Chemtrails Confirmed; Jerry E. Smith, author of Weather Warfare; and David Archer, climatologist and author of The Long Thaw. 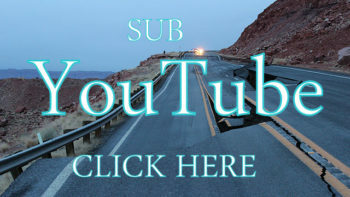 They are all in agreement that human induced climate change through weather modification and fossil fuel use are altering the eco-systems of the planet. And while the two named culprits, weather modification and fossil fuel use might seem to not be related that is not the case. The HAARP array at Gakona sprang from patents developed by Dr. Bernard J. Eastlund, who was working at the time for Arco Power Technologies Inc., and one of the many uses of the HAARP technology is earth penetrating tomography that allows oil and energy companies to search for underground deposits of oil and gas. However, the military is able to use the same technology to search for deep underground military bases. The Pentagon’s warning about climate catastrophe is surely nothing more than a thinly-veiled attempt to prepare the masses for the bizarre atmospheric upheavals we can expect as the military continues to brutalize our planet and near space with its grotesque toys. And we ain’t seen nothing yet. Dr. Eastlund and his ilk have developed plans for solar power satellites designed to modify the weather with electromagnetic beam output that dwarfs the present HAARP system. As abrupt climate change is increasingly orchestrated, we will surely need additional fascist agencies, an ever growing military budget, and more poison particle projects that just happen to insure population reduction as a side benefit. If you listen to a man’s words closely enough, you can ascertain what his intentions are. In the intervening years since Cohen’s address, we have seen many of his words prove to be prophetic. Most recently the Ebola scare comes to mind but if we assemble all the pieces of the puzzle that we can find, it all begins to make a crazy but psychotic type of sense. GMO’s and Monsanto’s patent for aluminum resistant seed. The construction of massive seed banks around the world. Neonicotinoids and the massive death of bees. Fukashima. Katrina. 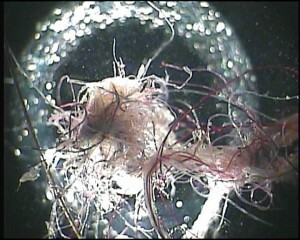 The BP Deepwater Horizon gulf oil spill and Corexit. Massive underground facilities being constructed. Climate change. Fracking. Weather Modification. Chemtrails. Large scale drought. 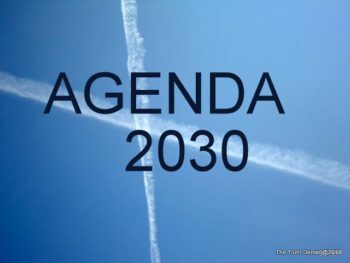 Agenda 21. As we attempt to navigate this “brave new world order” some 30 years removed from 1984, both Huxley and Orwell’s vision of society in the future are playing out on a scale far larger and more draconian than even they could imagine. We only need to look back at our past and connect the dots. Fig. 11 Photo courtesy of the author. Interesting story. Govt. involvement is so obvious. I think the people of America needs to demand a non-governmental committee to research all areas of Govt. issues. They demand Iran and other nations to atone and make all their secret programs transparent to inspectors, and i believe they should be investigated as well. Also, i believe such companies like”Evergreen”needs inspection as well. I have never viewed or heard of any public anti abortion demonstration in Ridgecrest. When and where have these demonstrations taken place? What do abortion rallies have to do with weather modification? Quite interesting. I never witnessed, nor read anything about the protests. I doubt that the Base Commander, had anything to do with the local weed shop getting closed down. The valley has plenty of drugs and has so for many years, so I don’t see the guy leading an campaign to halt drugs etc. After some research, the reason why NCIS got involved, was because an individual whom was employed on base and had a security clearance, was fronting a good portion of money for the individuals who ran the weed shop. Had the guy not held a clearance, there would have been no issue.